We consider the energy efficiency of medium access control (MAC) in low power wireless communication where multiple channels are available and the duty cycle of (send, receive, and idle) channel access is controllable. We show that in this setting maximization of MAC energy efficiency reduces to maximizing the aggregate channel utilization and minimizing the aggregate duty cycle channel access. 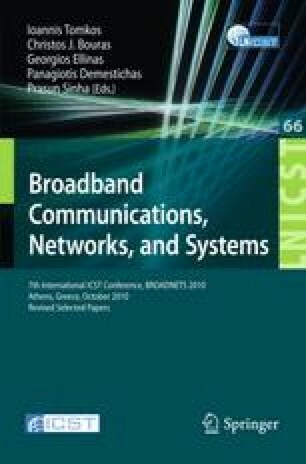 Based on the reduction, we show the theoretical existence of centralized, global information protocols which achieve optimal energy efficiency in terms of channel assignment and duty cycle scheduling. Then, towards practically realizing these protocols in a distributed fashion with local information only, we present Chameleon, which assigns channels based on lightweight estimation of channel utilization and adapts the duty cycle of node reception relative to the incoming traffic. Chameleon improves energy efficiency and channel utilization not only among users internal to the network, but also in the presence of external users that share the spectrum. We compare Chameleon with state-of-the-art single-channel and multi-channel protocols. Our experimental results show substantial energy efficiency gains over these protocols, which range from an average of 24% to 66%.